With a stay at Chiangmai Royal Creek in Hang Dong, you'll be within a 15-minute drive of Royal Flora Ratchaphruek and Chiang Mai Night Safari. 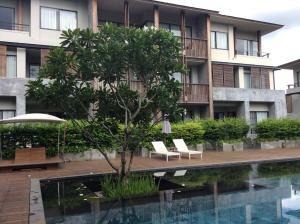 This hotel is 10 mi (16 km) from Tha Phae Gate and 6.9 mi (11.2 km) from CentralPlaza Chiang Mai Airport. Make yourself at home in one of the 10 air-conditioned guestrooms. Rooms have private balconies. Complimentary wireless Internet access is available to keep you connected. Bathrooms have separate bathtubs and showers and complimentary toiletries. Enjoy a meal at the restaurant, or stay in and take advantage of the hotel's room service (during limited hours). Quench your thirst with your favorite drink at the bar/lounge. Breakfast is available daily from 7 AM to 10 AM for a fee. Featured amenities include dry cleaning/laundry services, a 24-hour front desk, and coffee/tea in a common area. Planning an event in Hang Dong? This hotel has facilities measuring 3229 square feet (300 square meters), including conference space. Free self parking is available onsite. 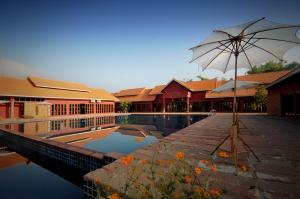 When would you like to stay at Chiangmai Royal Creek ? Each day we'll check prices and send you an email for your selected dates at Chiangmai Royal Creek. If you don't have specific dates but would like to check prices for say next weekend or say next month we can check the price too. Click to write a review and share your experience of Chiangmai Royal Creek with other travellers.